Earth Advantage is a Portland-based nonprofit whose mission is to accelerate the creation of better buildings. 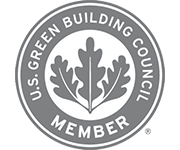 We provide knowledge to building professionals and information to consumers through certification, research, education, and product development to move the building industry towards more sustainable practices. SHP is a comprehensive, interactive, experience-driven education program for residential and multifamily building and design professionals looking to take their work to the next level of quality.